Kukicha (twig tea) is made by sorting out the tender young leaves and stems of higher grades of tea. In Japanese, the best Kukichas are called Karigane. 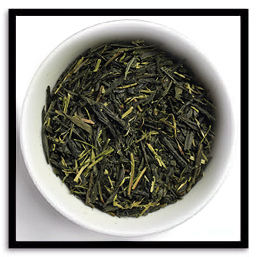 Our Karigane is made from shaded bushes, which produce a deeper green leaf and mellower cup. 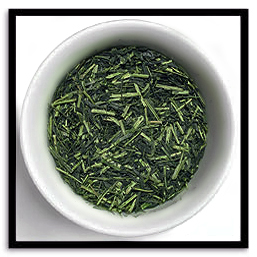 Tea drinkers in Japan know Karigane is an exceptional value because it's shade-grown tea at a fraction of the usual price. Enjoy! PREPARATION: As a delicate, shade-grown tea, we recommend preparing Karigane in a pre-warmed teapot with water heated to 140°F (60°C) for 1-2 min. Serve in pre-warmed cups. Literally "roasted tea", our Hojicha is made from hearty tea leaves grown in full sunshine, which are harvested, processed and shipped state-side for finishing. We complete the final step in-house by slow-roasting small batches to perfection. As a result, our Hojicha retains its green color and produces a sweet & nutty cup that's suited to drinking on its own or serving with food. Try it cold, too! PREPARATION: Hojicha may be infused quickly with boiling water for about 10 seconds. Alternatively, use lower temperature water and a longer infusion-time.